Successfully Added USB To HDMI Cable For iPhone - 90cm Lenght, Plug And Play Design, 1080p Support, Smooth And Fast Data Transfer to your Shopping Cart. 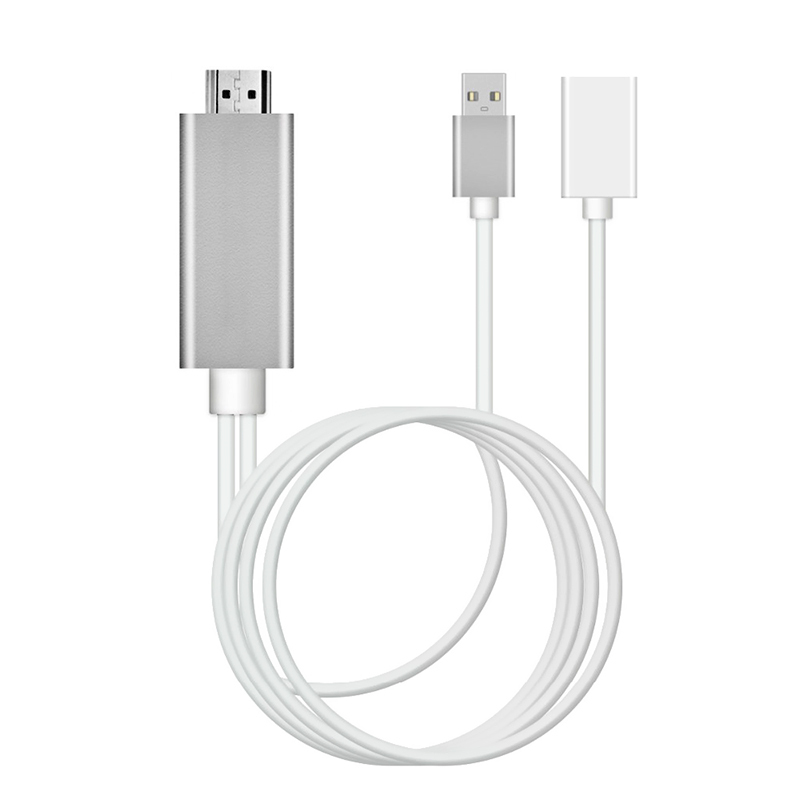 This USB to HDMI cable allows you to enjoy all your iPhone’s features on your big screen TV. Simply plug in the cable into your phone and flat screen TV, and all that’s happening on your iPhone’s display will be mirrored onto your large television screen. Supporting 1080p data transfer, this HDMI phone cable allows you to play mobile games, watch Full-HD movies, and browse the web on your large TV screen. Simply use this phone to HDMI cable to connect your phone’s lightning cable with your digital television and you’ll be all set to enjoy your phone’s greatest features such as mobile games and the latest applications on a large screen. Suitable to be used with all the major iPhone models out there, this USB to HDMI cable supports usage with the iPhone 5, 5C, 5S, 6, 6 Plus, 6S, 6S Plus, 7, and 7 Plus. This high-quality cable supports ultra-fast and smooth data transfers, allowing you to enjoy all your media and games without any delay. No longer will you experience any lag such as the one experienced with wireless data transfers features such as Miracast and Airplay, with this HDMI cable for your iPhone this will be an issue of the past. Featuring an extremely simple plug and play design, all you have to do is plug in this cable into your television and connect it to your phone's lightning cable and you’ll be all set to enjoy the latest mobile features on your big screen TV. From now on you’ll be able to play games, watch Full-HD movies, use mobile applications, and browse the web on your television – allowing you to enjoy all your smartphone’s features to the absolute most.